Explore your options. Discover your future. 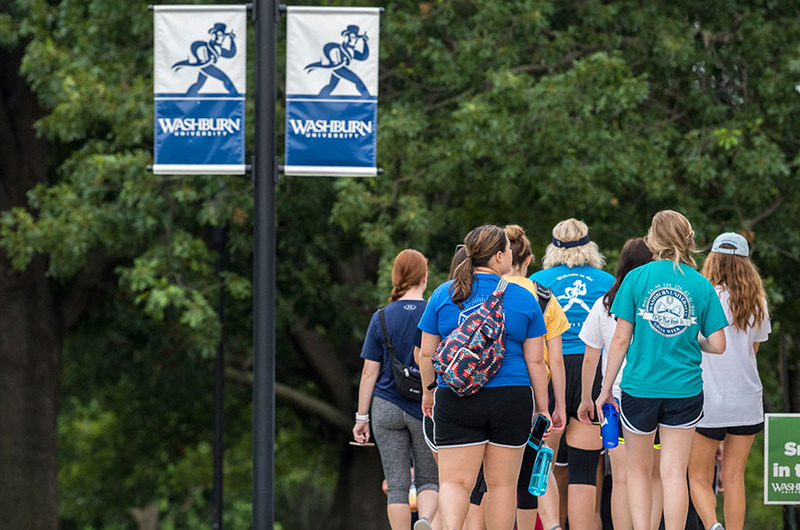 Washburn University has a rich history dating back more than 150 years. Our university was founded in 1865 by members of the Congregational Church on the principle that all people – regardless of race, ethnicity, gender or family income – have the right to earn an education. Originally named Lincoln College after the recently assassinated president, the board voted to re-name the college after Ichabod Washburn, a deacon in the Congregational Church from Massachusetts, pledged $25 thousand to keep the struggling school alive. On February 6, 1941, the citizens of Topeka voted to take on the school and operate it as a public institution and Washburn became a municipal university – a public institution with its primary support coming from local government. 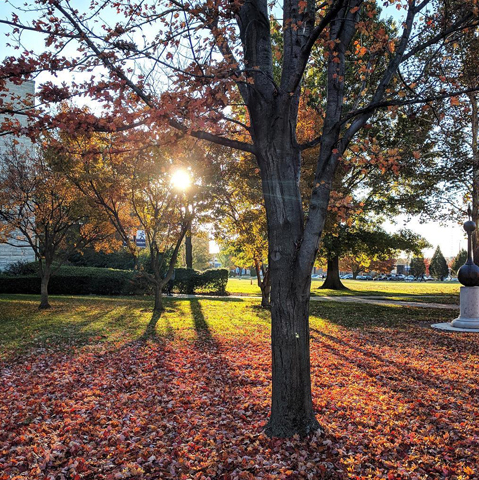 Today, people often mistake us for a private university, perhaps because of our academic quality, small class sizes and beautifully maintained campus. 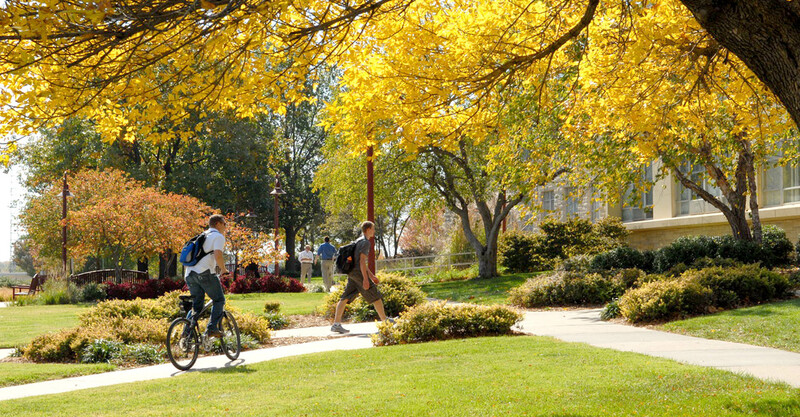 However, Washburn University is a publicly funded, independently governed university. 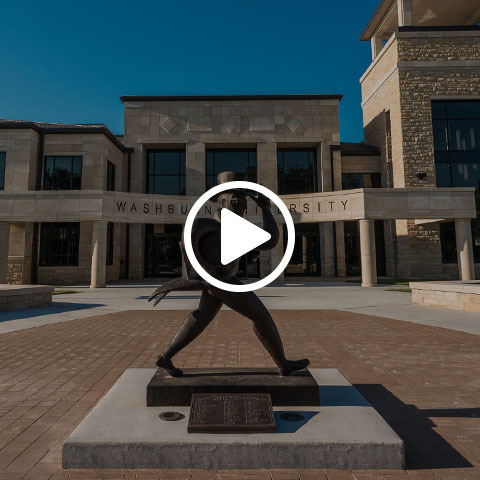 Washburn’s motto, “non nobis solum,” speaks directly to the university’s founding principles. It means “Not for ourselves alone.” Charlotte Leavitt, professor of English, suggested the motto in the early 1900’s. 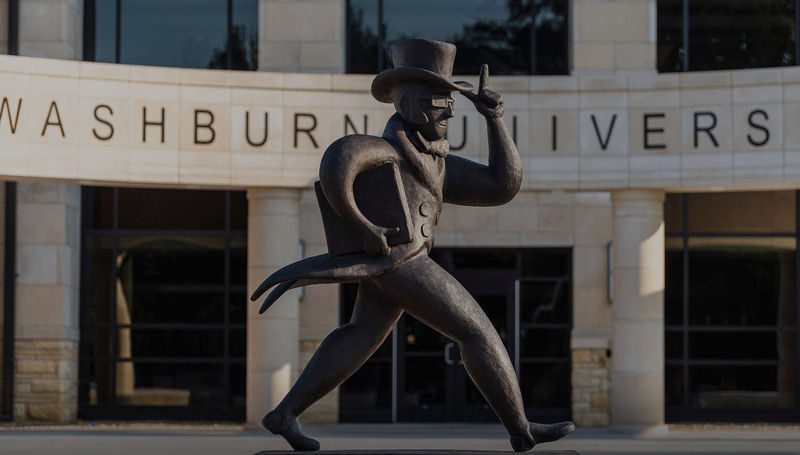 Whether you want to be an actuary, an athletic trainer or a book editor, a teacher, research scientist or performance musician, Washburn University can get you there. 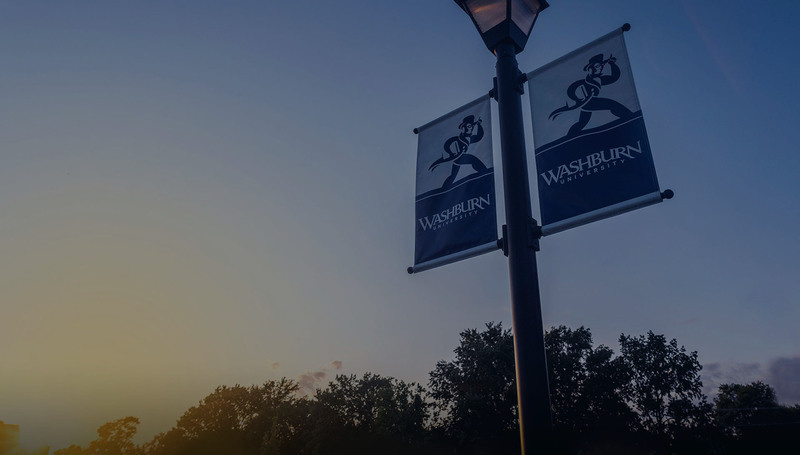 At Washburn you can choose from 140 different bachelor’s degree, associate degree and certificate offerings. 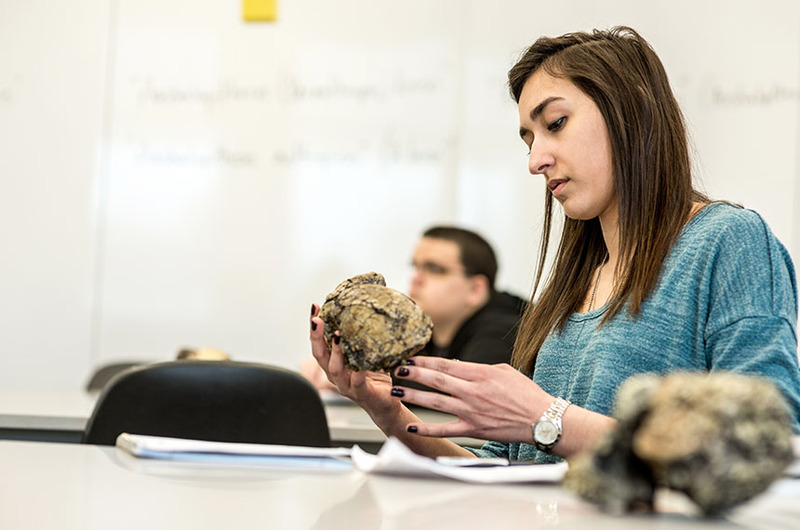 On campus you’ll find the College of Arts and Sciences and the Schools of Applied Studies, Business and Nursing all offering undergraduate degrees. And if you aren’t sure which program is right for you, our faculty, advisers and counselors can help you find your way. Our faculty is focused first on teaching. While all faculty members are expected to stay current in their fields and encouraged to pursue research interests, you as a student are the top priority. Classes are small, averaging about 15 students per faculty member, so you’ll get one-on-one attention. Ready to explore? Check out the “Areas of Study” page under Academics. 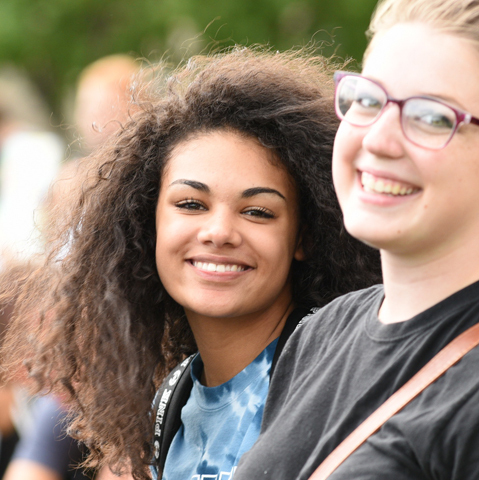 Washburn University students have many financial aid options available to help with the cost of education, including work-study, student loans, grants and scholarships. 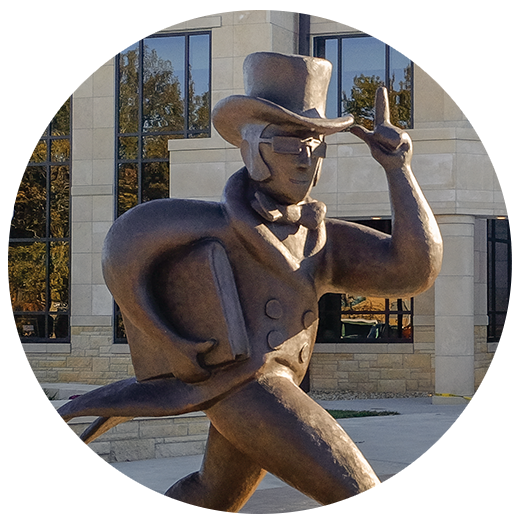 Funding sources include the federal government, the state of Kansas, Washburn University and the Washburn University Foundation. 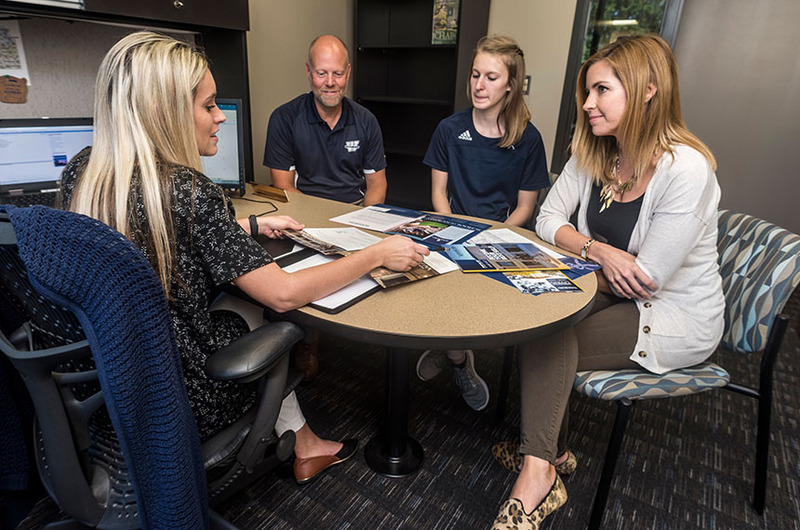 The Washburn University Financial Aid Office can assist you with the process of applying for and receiving financial aid, providing quality service and personal guidance to all students. Also, be sure to check your particular area of study. Many academic departments also have departmental scholarships. 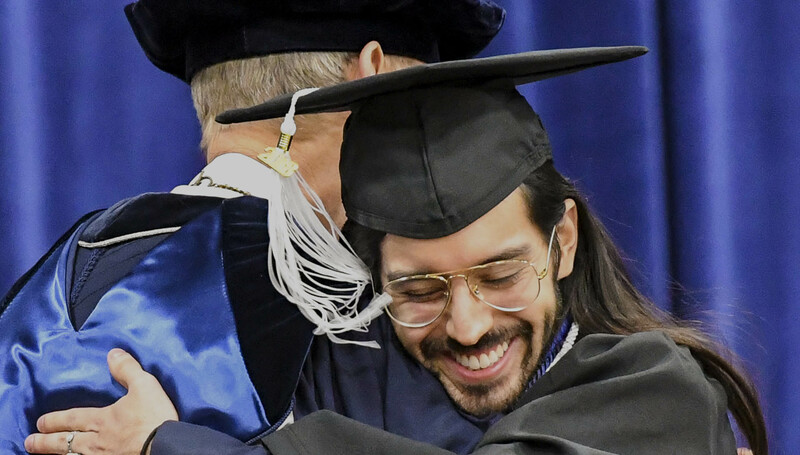 A college education does not begin or end at the classroom door, our opportunities to learn occur in all aspects of the Washburn experience. 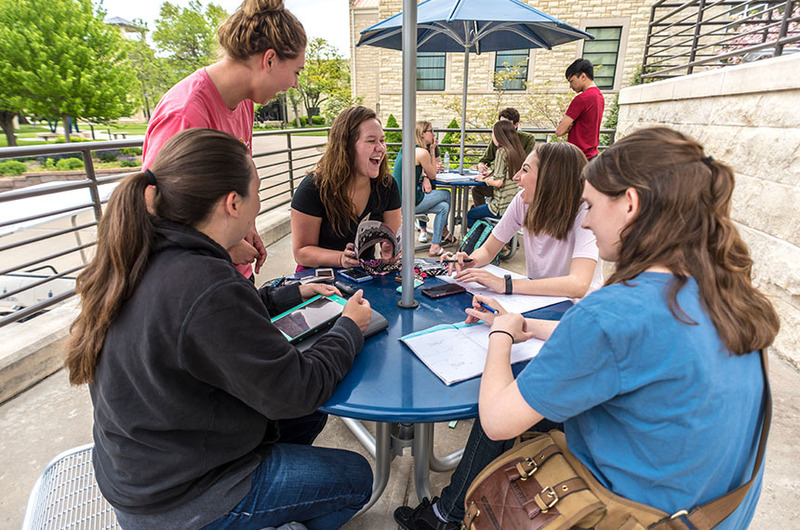 With more than 125 student organizations at Washburn, students and members of the university community enjoy tremendous opportunities to build friendships and rewarding experiences. The university also competes in 16 men’s and women’s sports in NCAA Division II. 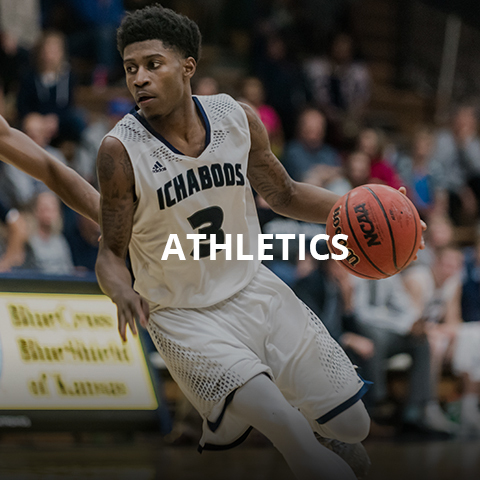 We compete as members of the Mid-America Intercollegiate Athletics Association (MIAA), the most competitive conferences in all of Division II. 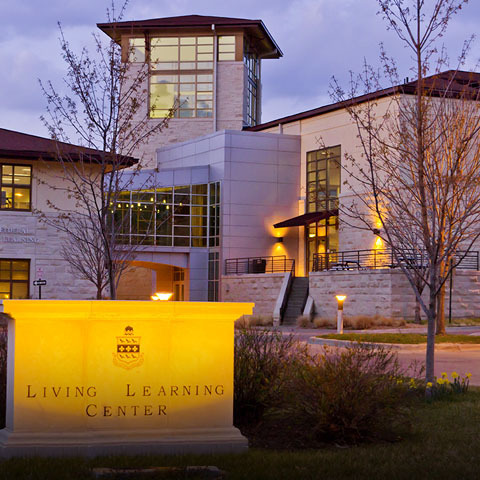 Washburn is home to 6,700 students at its traditional 160 acre campus at 17th Street and College Ave and the Washburn Tech Campus on Huntoon. The traditional campus is also home to the university’s highly-respected School of Law. 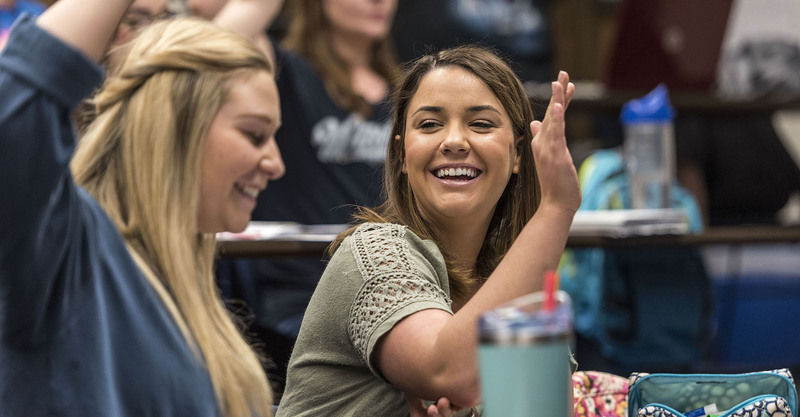 While many of our students come from Kansas, we host students from across the United States as well as more than 300 students from 41 countries. 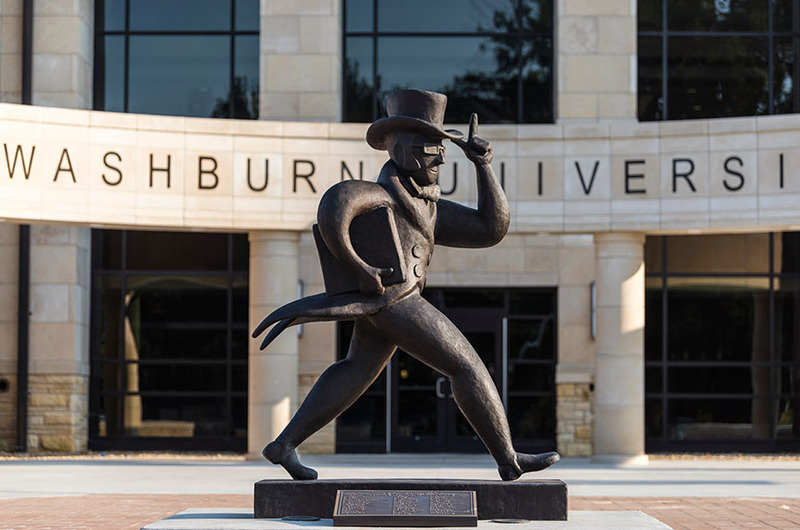 Washburn University is a public institution with just under 7,000 students and 1,000 faculty and staff involved in more than 200 academic programs. 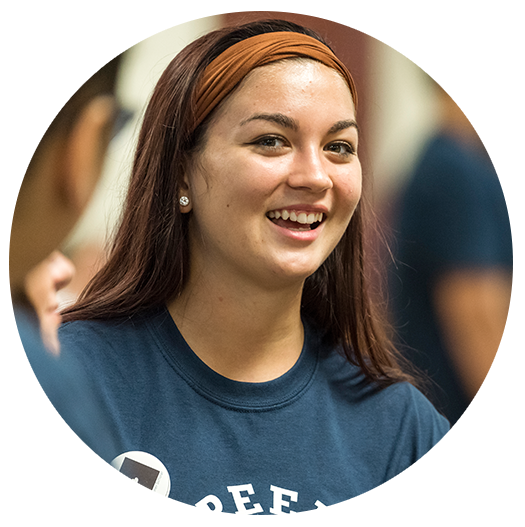 At $292 per credit hour, you'll find that our tuition is extremely competitive with other four-year institutions in Kansas. 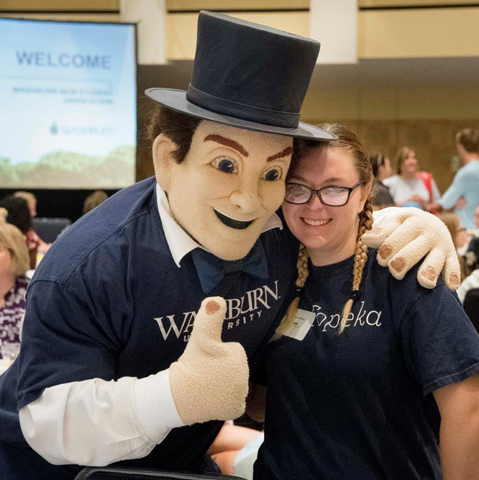 There is so much to do on the Washburn University campus and the more involved you are, the better your experience as an Ichabod will be. 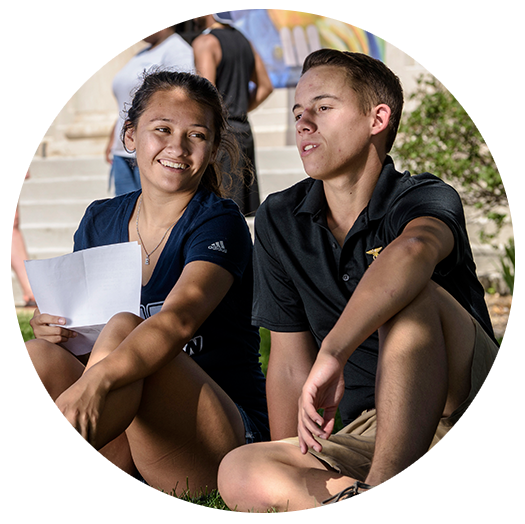 More than resume building, our 150+ student organizations will introduce you to great people with interests similar to yours. They’ll let you use your talents and build new skills. They can even help you network for your future. Enthusiastic. Courteous. Sincere in the search for truth and knowledge. Studious and serious, but a friend to all. 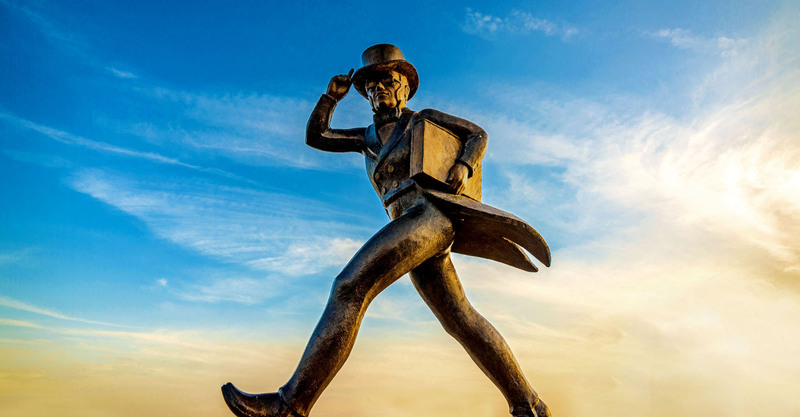 That is the spirit of Ichabod Washburn, and the spirit that lives on here at Washburn University as embodied in our beloved mascot – Mr. Ichabod.